In fisheries managed with catch shares, individuals or groups of fishermen are allotted a share of the total allowable catch of a fish stock. These fishermen then decide how to catch their allotment when weather, markets and individual business conditions are most favorable, and they must ensure that they do not exceed their catch limits. The allocation of shares of the sustainable catch eliminates the biologically and economically wasteful race to capture a share of the total before the fishery-wide limit is reached. 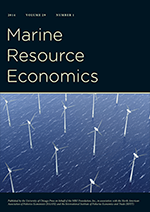 In this way, fishermen gain an incentive to conserve fish stocks, avoid market gluts, and catch their allocated share of the total at the least cost. Catch shares that are well-designed and thoughtfully prepared are the best way for many fisheries to have healthy, profitable fisheries that are sustainable. Because of these scientific results, moving forward to implement more catch share programs is a high priority for NOAA. "Catch shares" is the new term for individual transferable quotas.